Trusted Orland Park grandparent rights attorney. Divorce can have a far-reaching impact on families including grandparents. When parents divorce they typically have primary control over raising their children. In Illinois, as in many other states, the law recognizes the right of grandparents to get court-ordered visitation with their grandchildren. If you are in need of help obtaining such an order talk with an Orland Park grandparent rights attorney. The laws regarding these situations are evolving, so it is best to speak with an experienced lawyer from Johnson & Johnson, Ltd. to discuss your needs. 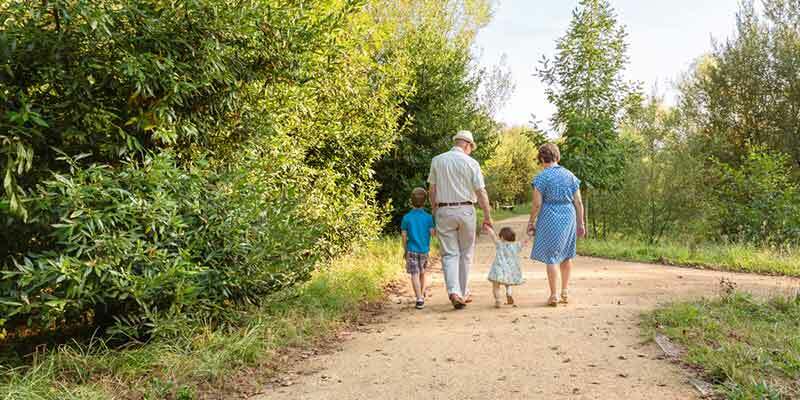 It may seem as though grandparents should always be allowed to see their grandchildren, however, this is not always the case. Grandparents may sometimes be stopped from seeing their grandchildren simply due to a bad divorce or for any number of reasons. If you are being kept from seeing your grandchildren you may be able to get a court order of visitation. Grandparents do not automatically have visitation rights. If you are seeking to get legal visitation of your grandchildren you will want to discuss the matter as soon as possible with an Orland Park grandparent rights attorney. The parents are divorced or the child was born out of wedlock and the parents do not live together. Paternal grandparents must prove paternity in this case. These thresholds will determine whether or not you will be able to proceed any further with legal action to achieve visitation. It is advisable to meet with a knowledgeable Orland Park grandparent rights attorney to discuss your particular circumstances. Your Orland Park grandparent rights attorney will guide you through the process and assist in presenting the case in a hearing. If the rights of both parents have been terminated, either through a court order or through adoption, the grandparents lose all visitation rights. This prevents the parents from possibly achieving visitation through these means. For example, the grandparents could allow the child’s parent to spend time with the child, even though they have previously terminated all parental rights. There is generally no legal recourse for grandparents to get visitation in this case. However, consult with an Orland Park grandparent rights attorney to determine whether all parental rights have been terminated. Issues regarding child visitation can be a complex and difficult issue. Because the laws in this matter are changing, it is best to speak to a reputable Orland Park grandparent rights attorney as soon as possible. Whether you are a grandparent seeking visitation with a grandchild or are a parent who wants to stop a grandparent from getting visitation rights, the first step is to talk to an attorney. The experienced attorneys at Johnson & Johnson, Ltd. are available to assist in working through this emotional circumstance. Contact our compassionate team to schedule a consultation today.